[Satnews] The Satellite Interference Reduction Group will be hosting interference workshops at CABSAT and Satellite 2016. 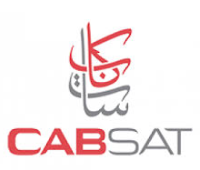 The CABSAT workshop, hosted by ARABSAT, takes place from 2pm on Monday March 7th in the Address Hotel, Dubai. Topics to be discussed include the Carrier ID (CID) roadmap, focusing on where we are with CID implementation and how to achieve widespread global implementation. The workshop will also cover the latest geolocation technology and efforts to mitigate intentional jamming. In Washington, the workshop will be hosted at the Intelsat Headquarters on Thursday the 10th and Friday the 11th of March. The workshop will follow on from topics discussed at CABSAT, giving attendees insights into discussions and ideas from that workshop. As well as covering CID and geolocation, it will look at other tools to mitigate interference, including new technology. IRG will also once again be hosting an interference tour at CABSAT. The tour aims to show participants different tools and technologies for combating satellite interference. As well as being led by an expert in interference mitigation, each stand will have an expert on hand to discuss that part of the puzzle in detail. At Satellite 2016, visitors are invited to a champagne reception, being hosted on the Crystal booth (#541) on Wednesday March 9th at 4pm. The workshops and tour are free to attend, however spaces are limited, so anyone interested should pre-register via the IRG website.